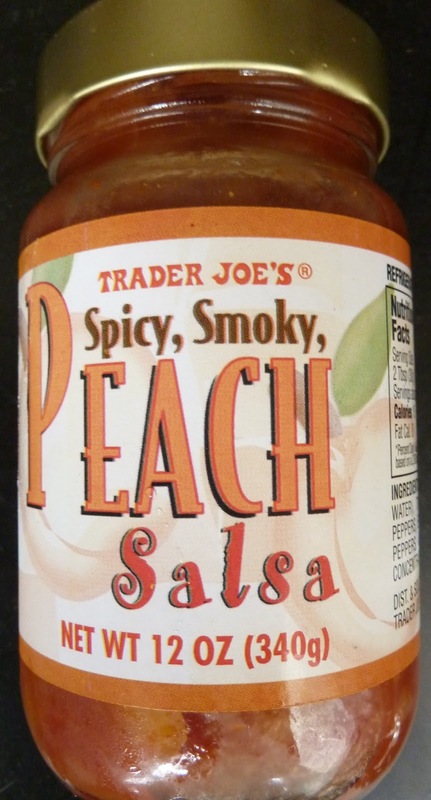 Neither spicy nor smoky in my humble opinion, this peach salsa doesn't live up to its name particularly well. But had its label proudly declared something about being "chunky" or "addictive," I'd go ahead and say, "mission accomplished." The taste is great, especially if you like peaches. This salsa is full of huge chunks of actual fruit, plus tomatoes, peppers, and other more traditional salsa ingredients. 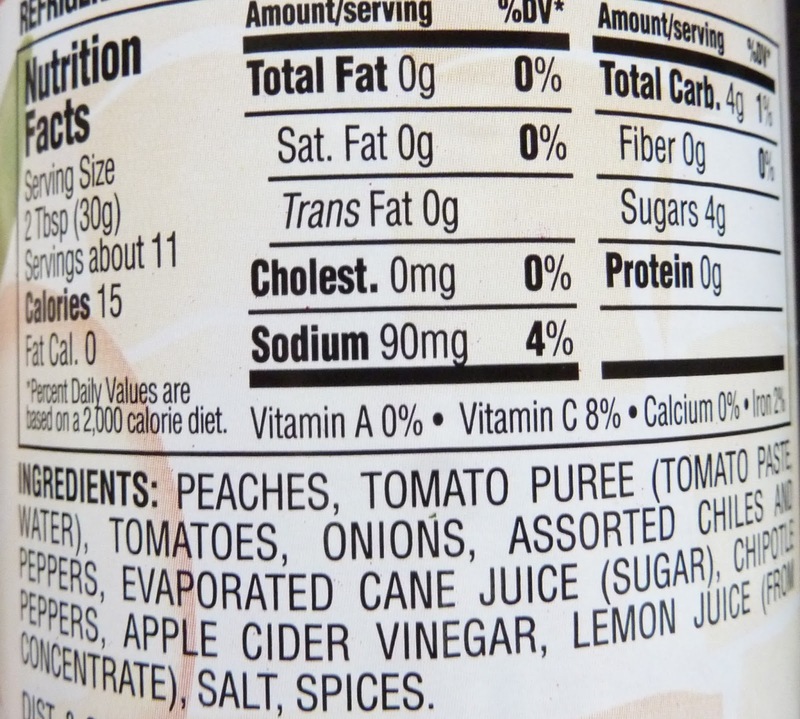 The spice level is barely perceivable, with just the slightest hint of tongue-tingling heat creeping through the sweet peach and tangy tomato juices. And quite frankly, I was hoping there wasn't much in the way of "smokiness," because even just a little too much in that department is enough to make you feel like you're snacking on ashes. Fortunately, there's even less than I was expecting. I'm a relative newcomer to the world of sweet salsas. For a long time, the idea of sweet fruit mixed with tomato sauce just weirded me out. Kinda like Hawaiian pizza—which I'm now a huge fan of. But so far Trader Joe's has offered us at least one other mostly successful sweet salsa, which we reviewed just last month. In the past, we saw Russ and Sandy muse over the strangely sweet Tomato-less Salsa, which Sonia and I tried shortly thereafter. Both houses were divided on that product: thumbs down from Russ, thumbs up from Sandy; thumbs down from Sonia, thumbs up from me. I do have to mention at this point that two of the best sweet salsas I've ever had came from Target, surprisingly enough. And while this peach salsa and the aforementioned pineapple salsa are both great offerings from TJ's, they simply aren't quite as impressive as the Archer Farms Summer Fruits Salsa that I've come to adore. If given the choice between TJ's pineapple salsa and this, I think I'd take the pineapple since it's just a tad sweeter and its label makes no misleading claims about smokiness or spiciness, although I must say Sonia and I polished off this tiny jar in a single sitting—so there's plenty of good things going for this salsa. It has a great balance of sweet and savory flavors, it's extremely chunktastic, it goes well with white corn tortilla chips, and it's reasonably priced at $2.29. Four stars from Sonia. Three and a half from me. Too sweet and not spicy enough for me. A half teaspoon of ground habanero took care of the latter, but not the former. 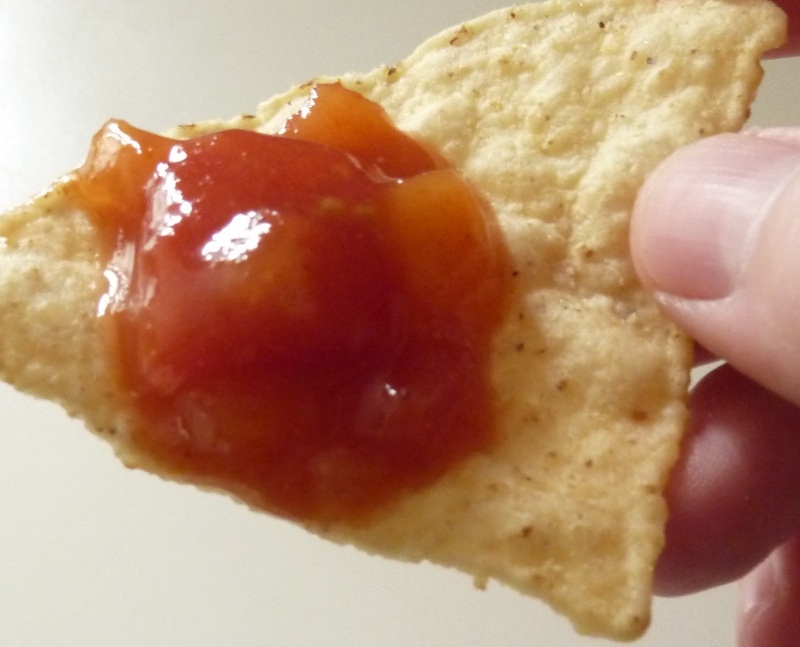 I really don't want salsa that tastes like it should be on a peanut butter sandwich. I know Im crazy late but I just tried this salsa over vanilla ice cream. It's not a nacho salsa, but more of a condiment for grilled proteins. I love it with grilled pork chops or chicken. Reduce the salsa in a sauce pan and use to glaze over a filet of salmon. It does need more heat, which some fresh jalenpeno chopped in does the trick. I cant find my peach jam that my wife either ate or threw out, so im gonna try this as a glaze on my smoked pork steaks today.